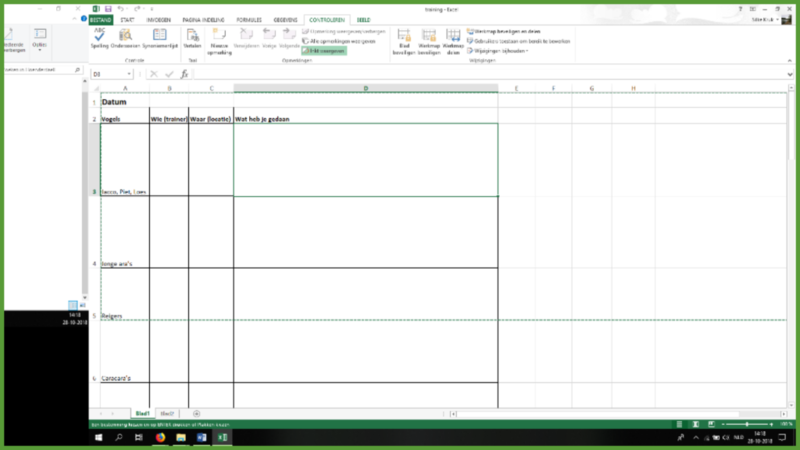 [Birds of prey video blog] – Breaking the habit: training your staff to work in a new way. Landgoed Hoenderdaell is a small zoo, which tries to do the best for their animals. Large exhibits, which are as natural as possible. They used to have a birds of prey demonstration where most birds were tethered to their perches in between shows. This didn’t fit the idea of the zoo anymore. 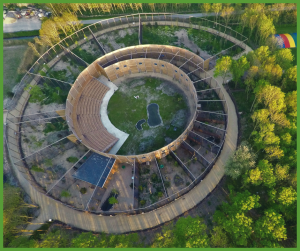 Also due to the changing of public opinion and the fact that there are groups that are against bird shows, Landgoed Hoenderdaell wanted to change their way of keeping their birds. A plan was made to build a huge complex, where all birds are housed in big aviaries with direct entrance to the demonstration area. Of course, this meant that the way of training had to be different as well. And that is where we came in. 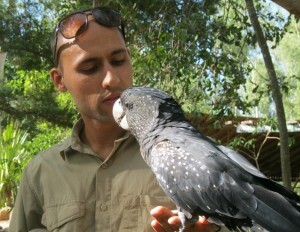 Silke Kruk is an experienced falconer and I am an experienced PRT trainer. We long had the ambition to combine this and start training birds of prey with PRT. But in Holland, this is not common yet. All animals had to participate voluntarily. We had to do it with the staff that was available (volunteers and old skool trainers). And we were given more than double the birds that were originally there. So a big challenge – but one we were ready to take. We soon figured out how we wanted to do it, use positive reinforcement to make the bond between trainer and bird stronger. And use small steps to get the birds used to the new area and the fact that they now have a choice. Training the birds was not the hardest part. Most of the animal training steps you can see in the video above. We gave this presentation at the IMATA conference 2018 in Portugal. 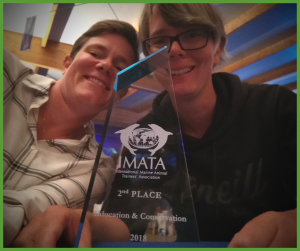 We received an award for second best presentation in the Conservation and Education Category. Which we really appreciated. It is a physical compliment for all the work we did. But the training of the staff, that was and still is a big challenge. Something we didn’t really put in the presentation, but want to address here more clearly. We have 3 paid animal caretakers in our bird division and the rest is done by volunteers. The volunteers are all very well intended, but most of them are not experienced with PRT. Also, the old staff was very used to the way it always was done. The staff and volunteers were used to walking with the birds on the glove, attached to the glove. They were used to using the weight as a way of determining if the birds can fly. And they were used to always show the food when calling an animal. Also, in the old demonstration, they used a whistle to call the birds. In the new situation, we use the whistle as a bridge. To tell the birds they have done a good behavior and will get a reward. Totally different…. And as most of us know, changing the behavior of people is way more difficult than changing the behavior of animals. And not only their behavior had to be changed also their way of thinking. We started with explaining them positive reinforcement training. The benefits, the use of the bridge and the way we start training new behaviors. We did this in a theoretical course. Most of them understood this theoretical course, but we still had to change their way of working with animals. When we started, our staff missed the control over the birds. They missed the walking around with the birds. And they had to get used to the fact that in the beginning, they couldn’t do everything with all birds, as they were used to. In the beginning, mainly Silke and I did the training. And when the birds understood the process, the volunteers could start working with the birds again. At this point in the training, we needed the experience and consistency. Most volunteers work 1 or max 2 days a week… Things can change very much in one week. Slowly we started to show the volunteers 1 by 1 what we expected of them and how it worked. But since every day we have a different team, this is difficult. What we told person A on Monday, changed in a week and was different to what we told person B on Saturday. And the next week we had to tell everyone different things again. So this resulted in some setbacks in training. For instance: we were training our Southern Hornbill to pick up a fake snake and shake it. Like they would do in the wild to kill the snake. At first, we would reward for picking it up, then for a small shake etc. So we told person A they could reward for picking it up. But in a week the Hornbill knew how to shake very well. We just forgot to tell person A. So she kept rewarding for just picking up…. The hornbill got confused by this and stopped shaking altogether. Even now, after almost a year, still not all volunteers get the part of not showing the food. Or they think they are hiding the food, but it still can be seen… They are so used to that, it is very hard to change that habit. Even the use of the whistle was something that was hard to change. One of the reasons why we bought a new whistle. Just to break the habit. It took a while for all birds were flying well in the new situation. But now the birds are doing great and the volunteers can see the results: higher flying weights, more interest in participating and all the positive feedback we get from visitors and of course from all of you. Now the volunteers start accepting the new way. And are more motivated to change their old habits. They even start thinking about how they can train new behaviors. That is the reason why we wanted to do the presentation in the first place. To show people all over the world that changing a habit can be done. And that changing the old way of training is possible. It takes some time, but it can and I think should be done. Saskia started her career as a pinniped trainer at the Dolfinarium in Harderwijk, the Netherlands in 2002. This was her first encounter with positive reinforcement training (P.R.T) and she worked there for 8 years until she decided she wanted to gain some experience training other species as well. 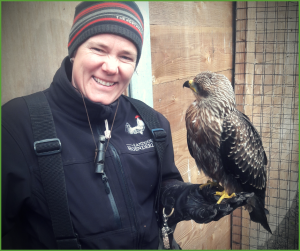 In the next 7-8 years, Saskia had various jobs training and working with different animals, including; training birds of prey with a falconer, managing a petting zoo, training seals and harbor porpoises at a seal rescue center & training parrots in Oasis Park on Fuerteventura. 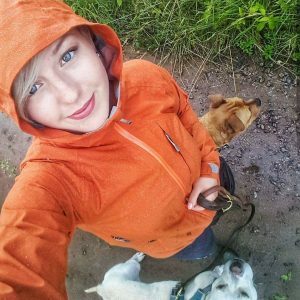 In April 2017 Saskia started her own company ‘Roundeurope Animal Training’ where she hopes to get more people interested in P.R.T, help animal caretakers (private and professional) to be better trainers and improve the welfare of all animals. 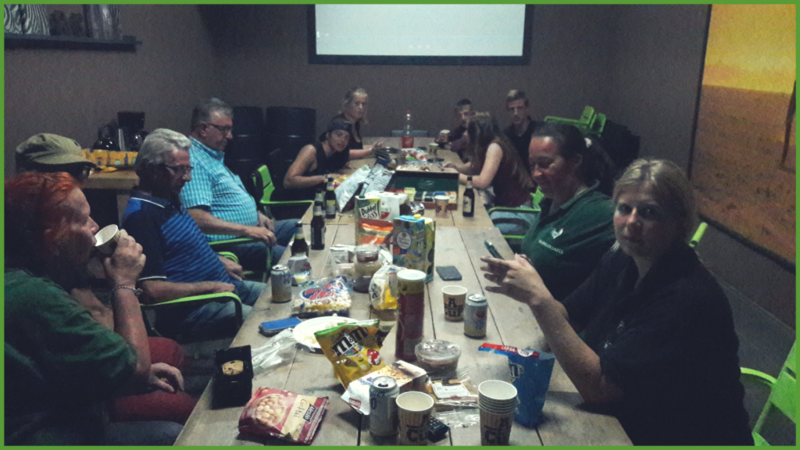 In September 2017 Saskia got offered a job at Landgoed Hoenderdaell where she was asked to start training all birds (parrots and raptors) with P.R.T, a really big challenge. Saskia’s next challenge will be training the big cats at the rescue center of Stichting Leeuw. If you’ve landed here … you’ve reached Animal Training Academy’s latest and greatest NEW experiment! 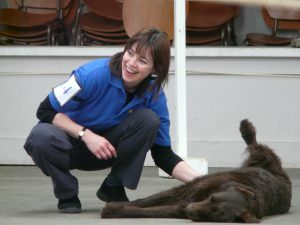 A guest blog written exclusively by the wonderful members of the Animal Training Academy tribe. Here you can learn from ATA members and experience the amazing calibre of skills, talent & know-how that exists within the ATA family! If you would like to know more about becoming a member yourself and accessing the great minds within … check out the link below to learn about what’s on offer! We hope to see you on the inside! CLICK HERE to see what an Animal Training Academy membership can do for you. * 23rd December 2018 – (Birds of prey video blog) – Breaking the habit: training your staff to work in a new way. A video case study. By ATA member Saskia Verbruggen. 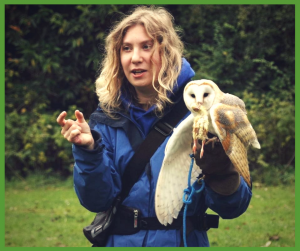 * 31st August 2018 – Postive reinforcement & Enrichment with Birds of Prey – A video case study by. By ATA member, Libby Cooper. * 19th July 2018 – Open Mouth behavior – A video case study. By ATA member, Sarah Ripley. * 22nd June 2018 – Trailer loading horses – A video case study. By ATA member, Josefine Linderström.